Lordi may have achieved worldwide fame in 2006 when they won the Eurovision song contest, but the band had been around a long time by then. The band formed in 1992, and by 1994 the costumes and masks had appeared. It would be easy to assume that the costumes and masks are a case of image over substance, but listen to one of the band's albums and you'll soon find that's far from the truth. Lordi are actually a very talented band that you really should listen to - after all, a gimmick might get a band fame for a few years but no more than that, so for Lordi to last over 20 years suggests the music is good enough to stand on its own without the gimmicks. Brief comments on a couple of songs.. The album starts with "We’re Not Bad For The Kids (We’re Worse)" - a song that sounds like Lordi's defiant response to their critics. Opening with screams this is a good heavy song that has hints of Alice Cooper. "The riff" is the first single from the album, and is a great song. The lyrics are great and Lordi's sense of humour does show as you listen to the lyrics. It's nice to hear a band that isn't afraid to add a little humour to their music as many bands do take themselves a bit too seriously. "Schizo doll" at times reminds me of U.D.O. due to the gravelly vocals that are reminiscent of Udo Dirkschneider. There are definite hints of Alice Cooper or Rob Zombie as you listen to the album, but they're offset with a more fun party feel. It's a great album. 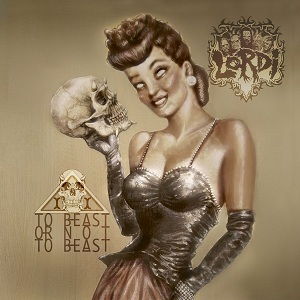 My recommendation is to forget about Lordi's image and to give this album a listen - I'm sure you'll enjoy it.